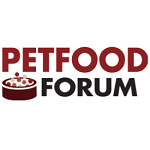 Baker Perkins will be attending Petfood Forum 2019 in Kansas City, MO, April 29th - May 1st, 2019. We will be highlighting our capability to produce a wide selection of pet treats through three different processes. We have a unique capability to provide complete systems for the production of baked pet treats, and offer opportunities to develop new product ideas using extrusion and depositing technology. Baker Perkins understands the exacting requirements involved in processing the heavier doughs needed for baked pet treat production. Robust, heavy duty equipment is essential to mix, feed and form the dough into the required shapes. Baking also has specific characteristics that are exclusive to this range of products. Over 100 years of experience in the design and installation of pet treat lines has given Baker Perkins a unique database of knowledge. We use our process familiarity to specify exactly the right system for each end product requirement, and to design equipment that meets the specific needs of the industry, and imaginatively solve issues such as better weight control, reduced maintenance and easier use. Baker Perkins systems provide the flexibility to make baked treats in a broad variety of attractive shapes, colors and flavors. New product ideas can be explored on a twin-screw extruder installed in our Innovation Center in Grand Rapids, Michigan. Pet products companies can create new products and processes, produce samples for evaluation, carry out feasibility studies, and train staff. Baker Perkins’ twin-screw cooker extruders produce an extensive range of pet treats. Options include direct expanded pieces with a cookie-or cracker-like texture, produced in a variety of sizes on a standard extrusion line. Adding a co-extrusion system creates the ability to produce added-value center-filled treats. These consist of cream or paste, in an almost unlimited variety of colors and flavors, surrounded by an outer shell. Depositing pet treat chews is the latest addition to our process portfolio. The ServoForm™ Mini is a flexible starch-free depositing system for small batch production up to 54 kg/hour. It is widely used in the confectionery industry for gummies and jellies, and ideal for producing high-quality chewy gummies for pets that incorporate all kinds of dietary supplements. It brings the benefits of starch-free depositing - high quality, high efficiency and versatility - and uses the same process and control technology as the well-established high-output ServoForm™ range of candy depositors. The ServoForm™ Mini is ideal for companies needing to make a variety of products on one line.